Microsoft says that the Xbox 360 price is staying put. But do we believe that? Microsoft says that it currently has no plans to cut the price of its Xbox 360 games console. 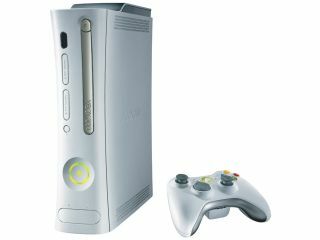 It had been widely rumoured that the company would slash the 360's retail price after Sony cut the price of the PlayStation 3 in the USA by $100 (£50). But Microsoft said it's confident that it has the price of the console just right . And that the upcoming 360 games are more than enough to keep gamers interested in it. "We have no desire, no need, to react to anything the competition has done," Shane Kim, head of Microsoft Games Studios, said in an interview with Reuters . "We feel really great about the Xbox 360 momentum right now. Customers are voting with their wallets, it's not just about console units. We feel great about how we're doing." Of course, as we've learned, these kinds of denials don't necessarily mean anything. Yesterday the Japanese giant cut the price of the console and announced an 80GB version for the US. The news came after Sony repeatedly denied any plans to cut the price of the PlayStation 3. And on more than one occasion it said it wouldn't launch the 80GB PS3 in the US. So either Microsoft is telling the truth and it really does have no plans to cut prices. Or it's doing what Sony did, and trying to keep up interest in the console before a planned price cut goes ahead. Take your pick. This morning, Kim announced that the updated Xbox 360 Elite will be launching in the UK next month.